Help arm your employees with important information on the cardiac chain of survival with CPR And AED: The Chain Of Survival. Be prepared to keep yourself and your team safe in the event of a fire. This computer-based training module covers the nature of fire, preventative and protective measures, fire sprinklers, smoke detectors, alarms, extinguishers, evacuation, and the stop-drop and roll technique. Fire classifications and basic fire extinguisher use is also discussed. During the holidays, it's easy to let your guard down as you enjoy the festivities. It may be the season to be jolly, but it can easily turn into the season of folly and dangerous accidents. 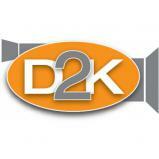 This unique program shows you and your employees how to have and savor a safe holiday season. In an emergency situation, survival hinges on adequate training, preparation and an emergency action plan. This program explains several emergency situation responses, the importance of drills and the principles of RACE. Something Smells and It’s Making Me Ill – This program looks at a potentially serious health problem because some of the fragrances worn by both men and women can be harming co-workers who have sensitivities to fragrances. According to the National Fire Protection Association (NFPA), about 7,000 fires in healthcare facilities are reported each year. This dramatic program defines the four different classes of fire, discusses the most common causes of fire in a healthcare environment, and details fire prevention measures and emergency response procedures. OSHA's 1910.38 requires that each company develop a workable Emergency Action Plan. With the new threats facing our society today, such a plan is required not only for compliance, but also for survival. Make sure your organization has a well thought out plan in place by following the guidelines provided in this program. Most emergency situations arise with very little warning, and we now know that a terrorist attack can strike in any form. As a healthcare professional, you know that your patients continually rely on you for their health and safety � but what about your own? It can only take a minute of neglect on your part or that of a co-worker for you to become a patient yourself. By following the basic infection control practices outlined in this vital video program, your home care workers can protect themselves and their patients from the spread of infection. Healthcare workers in long-term care facilities face the same risks as those who work in hospitals. However, the intensive personal care needed by most residents can increase your employees' risk. 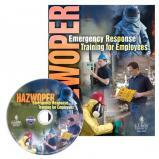 Hazwoper � Orientation - Over 70,000 chemicals are used by industries. Some 15,000 chemicals are made in industrial laboratories on a large scale today and between 500 and 1,000 new chemicals are introduced each year. These simple statistics provide the basis for increased awareness, training, and responsibility when working with any type of chemicals. The kitchen and food service areas are busy places. Safety won�t slow you down or make your job more difficult. Teamwork is the key to success. 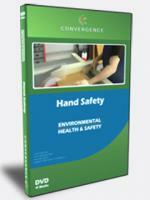 This program is general restaurant safety overview. Safety Orientation � Administration - Regardless of your job, safety is an integral part of your responsibility, which means no matter the task you perform, safety must be of vital concern. The healthcare environment can be hazardous to your health if you neglect safety rules, policies, and procedures. Safety Orientation � Custodians - Regardless of your job, safety is an integral part of your responsibility, which means no matter the task you perform, safety must be of vital concern. Safety Orientation � Nursing - Regardless of your job, safety is an integral part of your responsibility, which means no matter the task you perform, safety must be of vital concern.